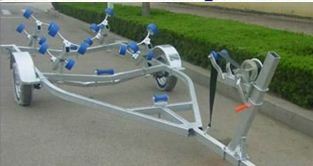 All New: Galvanised, Poly wobble rollers and centre rollers, winch, single axle, jockey wheel,14' tyres, Lights, Assembled. Can also provide spare wheel, spare winch, and delivery in Port Moresby area. Yamaha 2 Stroke. Tiller Control. With tank, tool kit, fuel line. In Box. Brand new, genuine Yamaha engines. Can deliver in Moresby area.